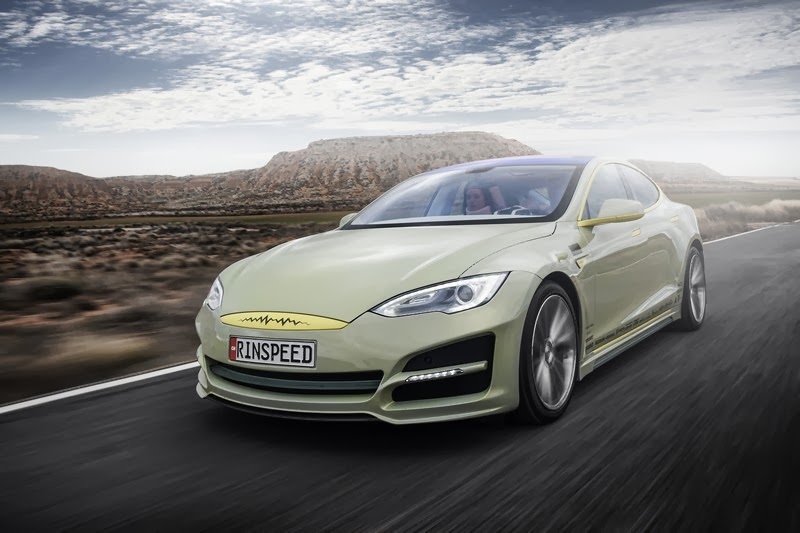 2014 Geneva Motor Show: Rinspeed presents the future of autonomous driving. What will move us tomorrow: the office and living room on wheels. Traveling in business-class style redefined with innovative Harman infotainment concept. 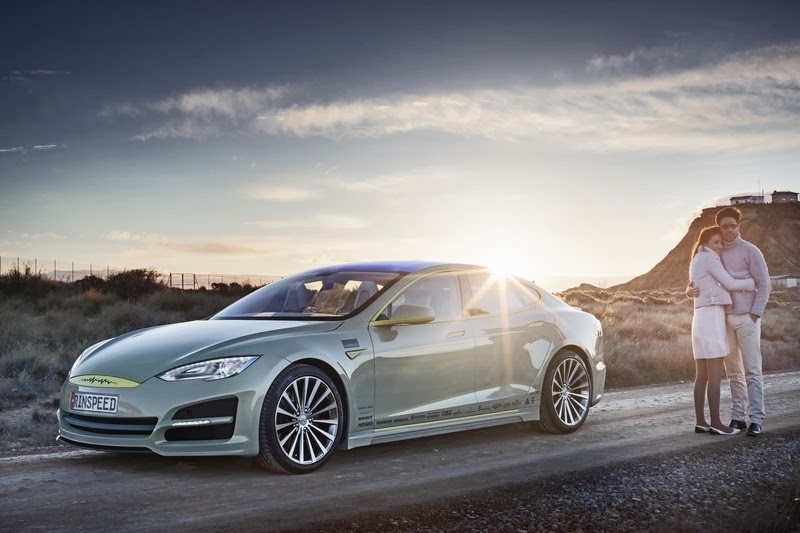 Autonomous driving is set to become reality in the near future. 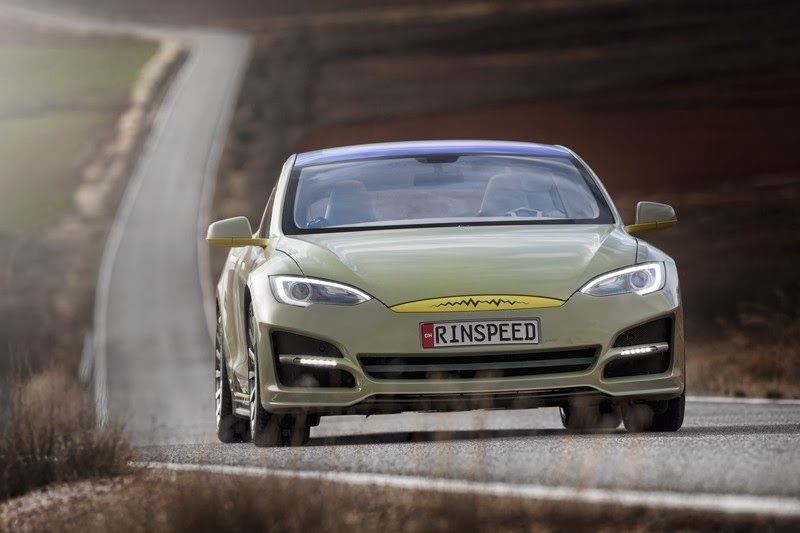 While the major automakers are putting the finishing touches on the technology, the Swiss idea factory Rinspeed puts man at the center of the autonomous car. 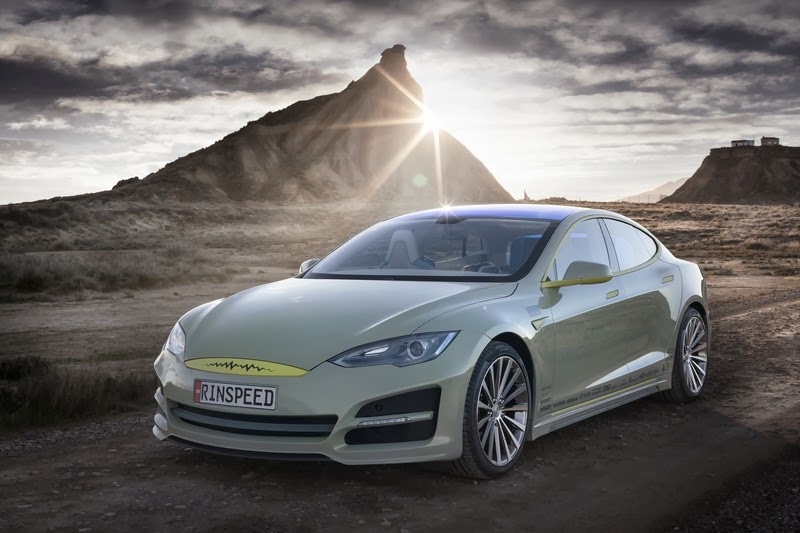 At the 2014 Geneva Motor Show Rinspeed presents the "XchangE" study to the public in a world premiere. It demonstrates how cars will ‘move’ us just a few short years from now, in both senses of the word. Frank M. Rinderknecht describes the status quo like this: “So far hardly anyone has taken this to its logical conclusion from the perspective of the driver. 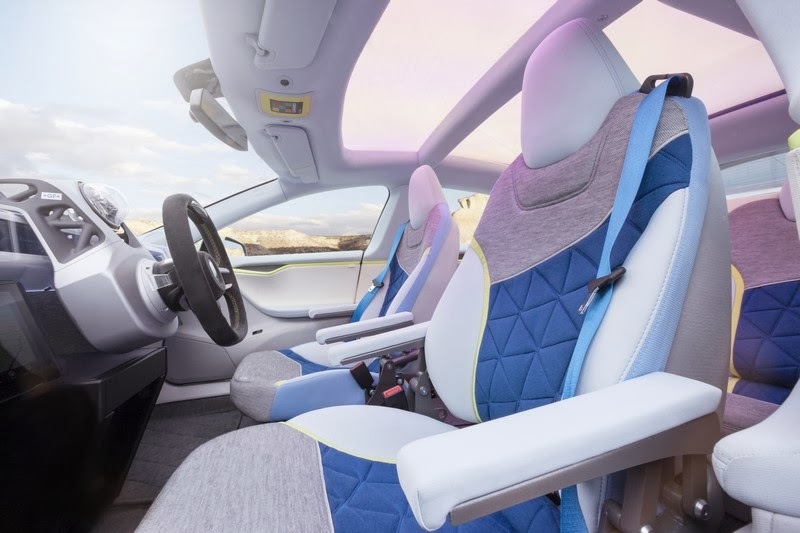 After all, traveling in a driverless car will no longer require me to stare at the road, but will let me spend my time in a more meaningful way.“ And then he poses the key question: How will the interior of a vehicle have to be designed to let the now largely unburdened driver make optimal use of the gain in time? Of course the “XchangE” is also fully networked with the outside world. The in-car consolidation of real-time sensor data that is crucial for “Car2X” communications is handled by the infotainment system, which communicates with the Cloud via an integrated LTE module. Deutsche Telekom and its fast LTE network provide the secure data transmission. 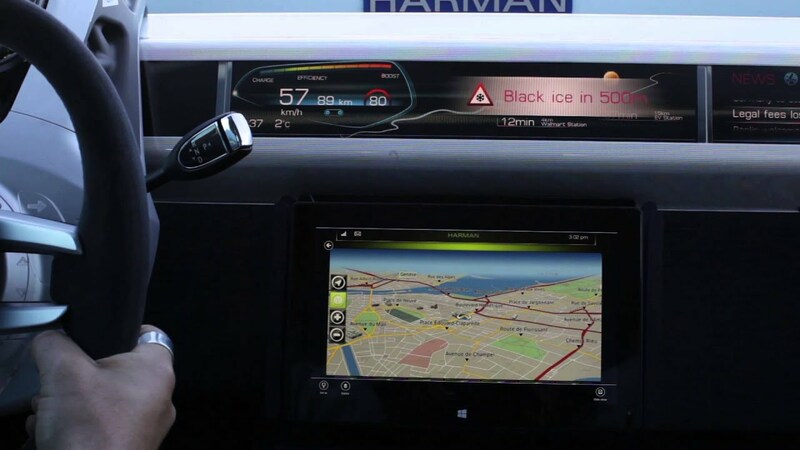 All incoming vehicle data - from the Harman infotainment system and other vehicle systems - are compiled and analyzed on a standardized “Business-to-Car” platform of Deutsche Telekom. The intelligent links to numerous other online data sources thus create travel-specific Cloud services such as warning messages or recommendations on route and driving profiles, which are available to all road users in real time. The more vehicles and service providers are networked via the manufacturer-independent “Business-to-Car” platform, the more everyone traveling by car benefits from added safety and convenience. An intelligent access control system that uses RFID technology to identify the authorized driver or drivers switches on the essential functions of the “XchangE“. It comes from the parts portfolio of forklift manufacturer Linde Material Handling. As on the company’s forklifts and other materials handling equipment, the technical signals from the sensors and the vehicle control system are compiled by the “connect:” data-logging unit and transmitted continuously to the Cloud via the T network. The software of the “connect:” unit makes it possible to analyze all operating data and generate reports, for example for fleet operators. The avant-garde interior concept developed by Strähle+Hess ensures a unique feel-good atmosphere. It is made of textiles whose blue and gray gradations create a maritime flair. These calming colors reinforce the relaxation effect while traveling in the “XchangE”. The focus of the textile development was in particular on the touch and feel of the fabrics, and the raw materials were selected to individually tailor their characteristics to the various comfort zones. Natural resources such as Merino wool and silk were also used, which were processed by Schoeller spinning mill from Bregenz, Austria. As a result there are intelligent yarns in the intelligent car. The revolutionary Plexiglas roof from Evonik Industries ensures a striking appearance. It features “Radiant” surface coating and shimmers in all colors of the rainbow. 358 individually controlled LEDs in the “EndLighten” headliner and another 98 in the instrument panel create an individual feel-good atmosphere. This innovative LED technology was supplied by Swiss Company Weidmann Plastics Technology. 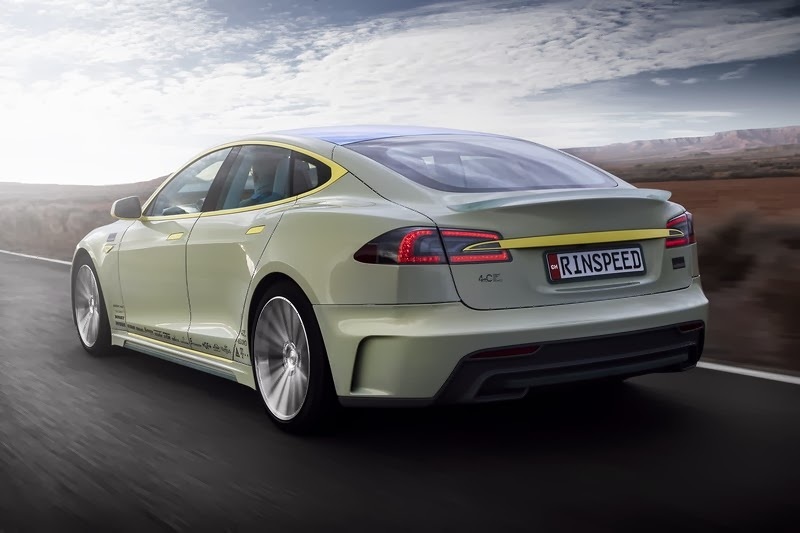 Numerous additional Plexiglas elements in front and rear fascia, rocker panels and rear spoiler, which were all created by refinement specialist Mansory, are also supplied by Evonik chemicals group. They were processed and hardened and tempered by KRD in Geesthacht before being mounted using adhesives and sealants from Sika. A high-end PTC heater from Stuttgart-based system partner and source of inspiration Eberspächer ensures cozy warmth. Towering above everything in the moveable steering column is the world’s arguably most expensive watch winder. 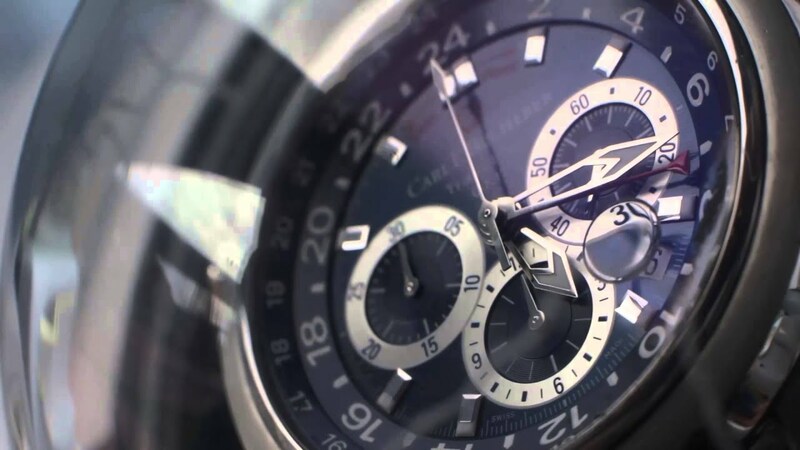 Swiss watchmaker Carl F. Bucherer has implanted its Patravi TravelTec wristwatch in a transparent globe. When the car is stationary, the globe spins driven by an electric motor and in the process winds the mechanical watch movement! Crazy, playful, but somehow also ingenious and wickedly expensive. 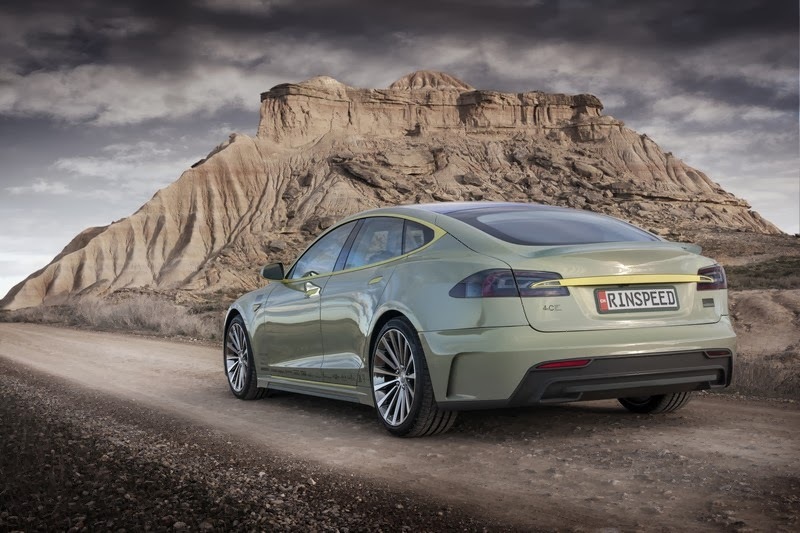 The “XchangE” - as a Tesla evolution - is sitting on 20-inch Borbet highest-quality alloy wheels with glistening “Reflectic” finish is a true eye-catcher. However, Swiss Company Regus Management and Research focuses on the more “inner values” of the “XchangE” as an office on wheels. The specialist for office rental maintains 1,800 locations in more than 100 countries and develops new business opportunities. The company definitely sees potential for using the “XchangE” as a mobile office and traveling conference center. For this conclusion it can draw upon a study by Düsseldorf-based consulting agency A.T. Kearney Consultants, which examined the changes to the digital society that will be affected by autonomous driving in the future. You can read, listen to music, surf the web, play games and watch movies in brilliant picture and sound quality. Or you can hold a four-party meeting at 120 km/h and work on your files while brewing a fresh cup of Italian Amici espresso. 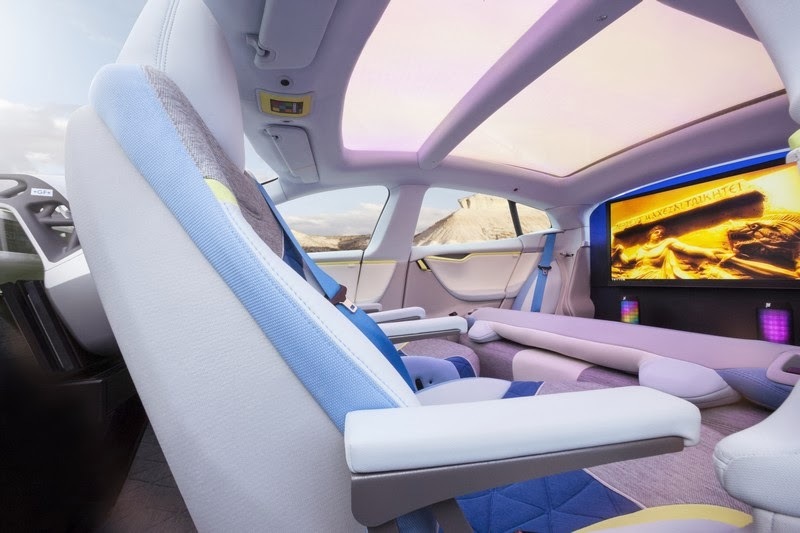 The creators of the “XchangE” are certain that autonomous driving will actually make individual travel even more attractive compared with traveling by train, plane or long-distance coach. As Rinderknecht puts it: “I am given free time that I can use for myself anyway I please, while the sensor systems and the connectivity chauffeur me safely and reliably to my destination.” Why not take the time then to get to know this extremely interesting concept car, which will be showcased at the Geneva Motor Show with publicity support from Saarbrucken-based ad agency Vollmond. The 2014 Geneva Motor Show will take place March 6 to 16, 2014. 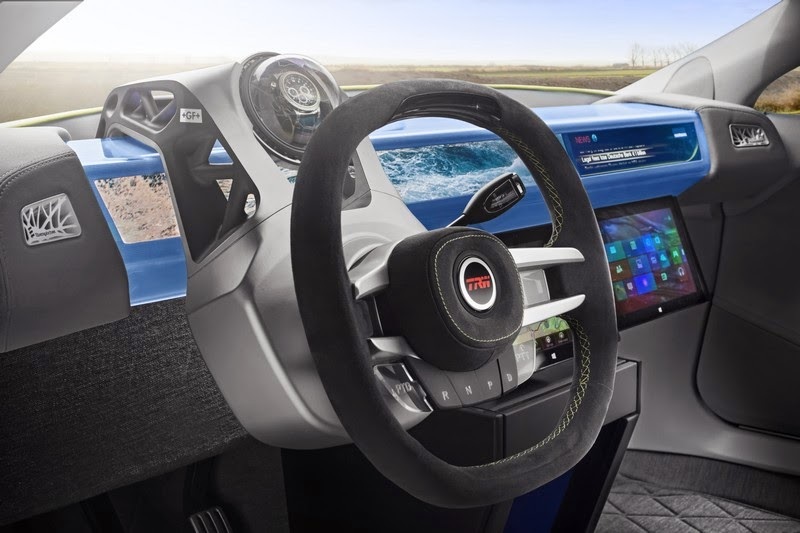 The Rinspeed “XchangE” is already the twentieth concept vehicle of the Swiss think tank and “mobility lab”.